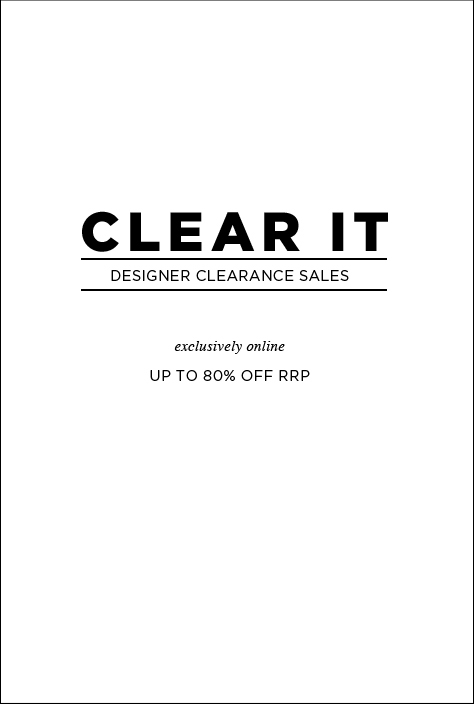 Clear it Online is the authorised re-seller of your favourite Australian designer brands including Alannah Hill, Jack London, Dangerfield, Princess Highway, and Revival. SAVE UP TO 80% OFF RRP on over 300 Men's and Women's fashion items. We have outlet stores available too across Victoria, New South Wales, and Western Australia. We ship internationally and we offer Free Shipping on all Australian orders over $100.